Located adjacent to Ralston Arena, you can’t get any closer to your event! 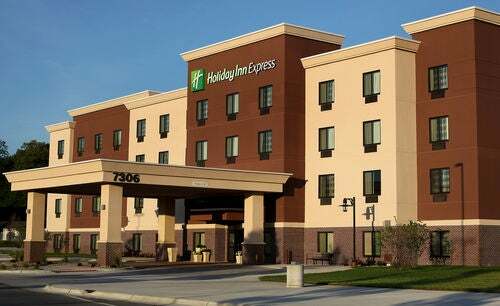 Choose Holiday Inn Express & Suites Omaha South - Ralston Arena, a sleek and stylish Omaha, NE hotel, as your overnight headquarters during your next concert, trade show or meeting at Ralston Arena. Don’t worry about parking, as guests of the hotel have a reserved section. Conveniently located in south-central Omaha, NE, just blocks from I-80, the Holiday Inn Express & Suites Omaha South – Ralston Arena is easily accessible to all of the top attractions in Omaha, NE including Henry Doorly Zoo, Westroads Mall, Old Market, and Nebraska Crossings Outlet Mall. Omaha’s airport, Eppley Airfield OMA, is only 15 minutes away. Nebraska's largest amusement and waterpark, Fun Plex, and Horsemen’s Park horse racing track are located across the street. Try your luck at the nearby Council Bluffs, IA casinos. Numerous restaurants and lounges are within walking distance. Travelers like the wide array of amenities available such as complimentary high-speed Internet, fitness center, indoor pool and whirlpool, business center, and 24-hour market. The complimentary hot Express Start breakfast offers eggs, bacon, sausage, pancakes, signature cinnamon rolls, fruit, pastries and more. Choose from non-smoking guest rooms with one king or two queen beds or a spacious king studio suite with sofa sleeper. All guest rooms and suites feature HDTV, fridge and microwave. Interested in reserving a group of rooms for your next large event at Ralston Arena? Contact Patti Goodman to arrange details. 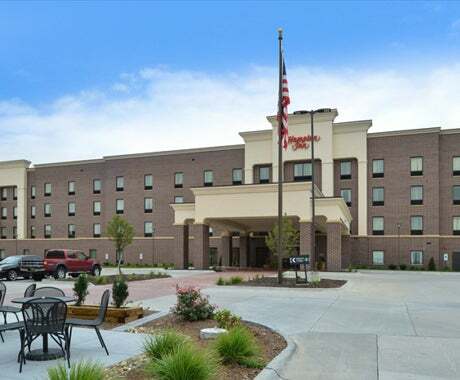 Welcome to the award-winning Hampton Inn by Hilton Omaha-Aksarben and Midtown hotel, conveniently located off I-80 just 8 minutes from the Ralston Arena. Enjoy great value and outstanding service from our friendly staff. Make yourself at home in a bright and spacious guest room or suite. Enjoy home comforts like a guaranteed clean and fresh Hampton bed®, coffee maker, flat-screen TV and free high-speed internet access. Suites offer extra space, a microwave and refrigerator. Swim in the indoor heated pool, relax in the whirlpool or re-energize in our free fitness center. Start your day right with Hampton’s free hot breakfast featuring make your own Belgium waffles. Need more information on group rates? Contact Stefani Fisher, [email protected]. Enjoy friendly service and cozy accommodations at our newly renovated Omaha, Nebraska hotel. It doesn’t matter if you’re here for a work-related stay or looking for a getaway, we have you covered at the Comfort Inn & Suites® Omaha Central vacation hotel. There are many great attractions nearby. Don’t forget to try the Firewater Grill, a full-service restaurant and lounge while here at our Omaha, Nebraska hotel and remember that you can earn rewards, including free nights and gift cards, with our Choice Privileges® Rewards program. 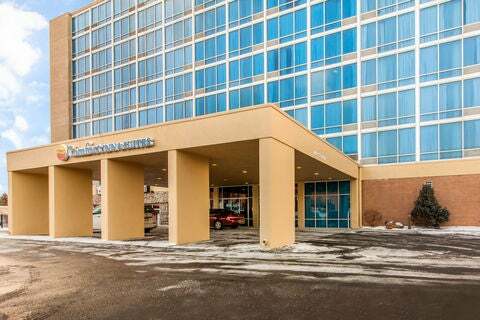 Welcome to the #1 worldwide Embassy Suites Omaha - La Vista/Hotel & Conference Center, conveniently located off I-80 just 8 minutes from the Ralston Arena. At the Embassy Suites, every guest will enjoy the luxury of a two-room suite with the conveniences of in-room refrigerators, microwave ovens, coffee makers, irons, ironing boards and hair dryers, two telephones with voice mail and two televisions. Every suite has a sleeper sofa, a benefit for those sharing rooms or traveling with family. In addition, all guests receive a complimentary cooked-to-order breakfast and enjoy the nightly manager's reception. For a full listing of Omaha hotels, please click here.